Stuff is certainly moving fast on The Nativity Story. Having only posted Nativity News vol. 1 a week ago, I find there's so much new news that I'm posting the next update again already. From humble beginnings, great things can come. THE NATIVITY STORY tells the extraordinary tale of two common people, Mary and Joseph, a miraculous pregnancy, an arduous journey, and the history-defining birth of Jesus. 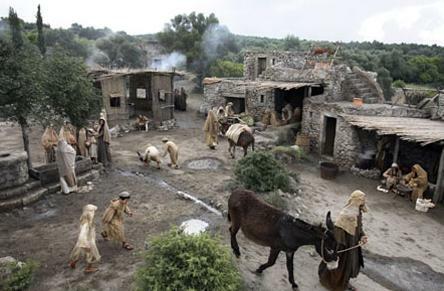 Brought to life with an unprecedented attention to detail and commitment to historical accuracy, THE NATIVITY STORY is the very human, very dramatic, and uniquely inspiring saga of a journey of faith. 2 - The teaser trailer for the film will be showing before screenings of Superman Returns. There's not much to this trailer, no shots from the actual film, but it's encouraging to see New Line taking the film so seriously. 3 - Finally, the film has also been mentioned in Time magazine. In her movie Thirteen, director Catherine Hardwicke took a less-than-romantic look at the antics of adolescent girls. Now she's taking on another teen with a big secret in The Nativity Story. 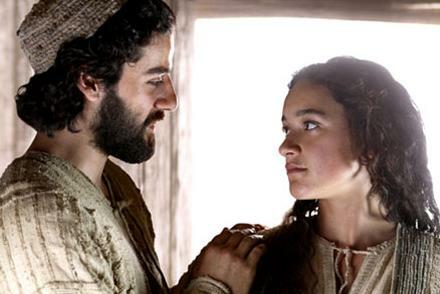 The film, which could also be called The Passion of the Christ: The Prequel, follows young Mary's life in Nazareth and her journey to Bethlehem with Joseph (OSCAR ISAAC). Taking the part of Mary--the key role, as any Christmas-pageant organizer can attest--is Keisha Castle-Hughes, 16, the New Zealander who swam to an Oscar nomination in 2002's Whale Rider. She has been "fearless, dazzling, an almost ageless spirit," says Hardwicke. Castle-Hughes gamely learned to milk goats, which, to the dismay of little kids everywhere, are played by real animals. Thanks to Queen Spoo's Nativity Story Blog for keeping on top of all the news.